Ground Zero is on display in BIRMINGHAM (UK) from 22 to 25 FEB 2009 at the Focus on Imaging 2009. 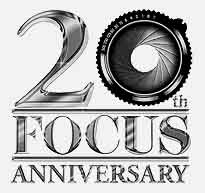 FOCUS ON IMAGING is Europe’s biggest annual imaging show, covering professionals needs from image capture through to output and beyond. Professional Photographer has dedicated a special feature to the event. You can read it online here. Together with the other winners the exhibition is hosted in a dedicated stand that Harman Technologies has devoted to the Travel Photographer of the Year international award. Around 60 prints featuring the winning images from the most recent TPOTY awards are displayed.